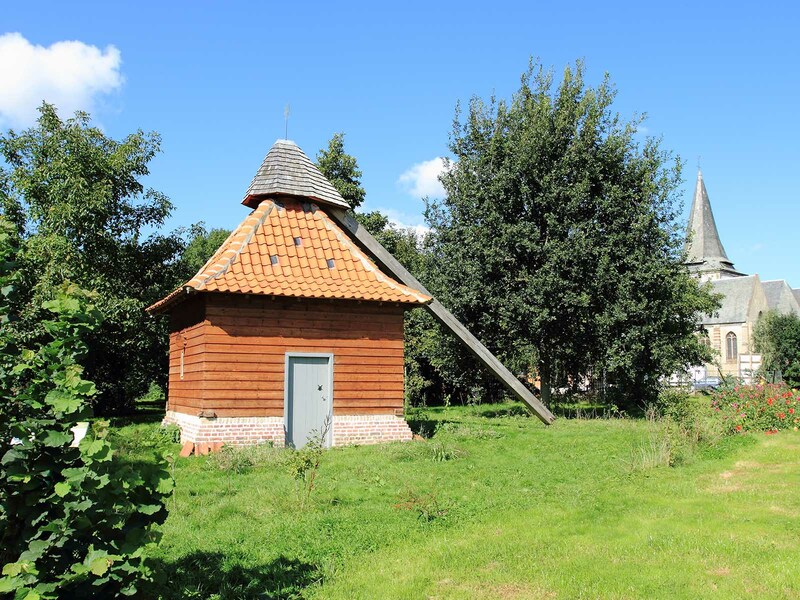 Since 2010, the municipality of Volckerinckhove has a horse-drawn mill built by the Yser Houck association, from documents found in archives and drawing plans made by the ARAM. 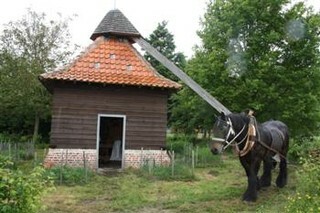 This type of small mill powered by a horse, formerly common in Flanders, no longer existed in the region, which is why the Yser Houck association decided to rebuild it. The horse-drawn mills allowed to overcome the vagaries of the wind and thus to supplement their big brothers the windmills. 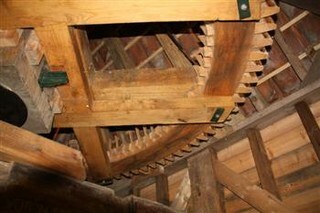 The mechanism was realized by a Belgian mills carpenter and the whole construction by Yser Houck, with old materials. The horse turns outside the building and activates the two millstones with a beam that protrudes from the top of the roof. Volckerinckhove's horse-drawn mill does not have a sifting area, so the flour is not separated from the bran. Do not hesitate to come and discover this mill like no other. It is open from Monday to Friday from 9:00 to 12:00 and from 14:00 to 17:00.